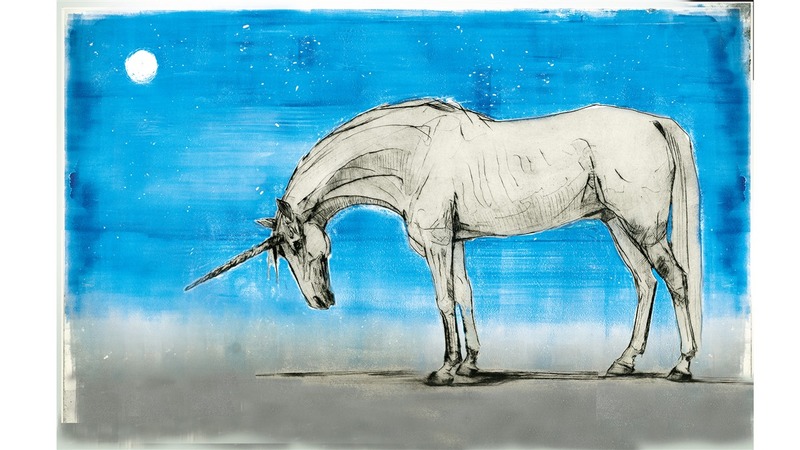 EXCLUSIVE: Our Chat With Jim Kay & Olivia Lomenech Gill, Illustrators of ‘Harry Potter’ & ‘Fantastic Beasts’! 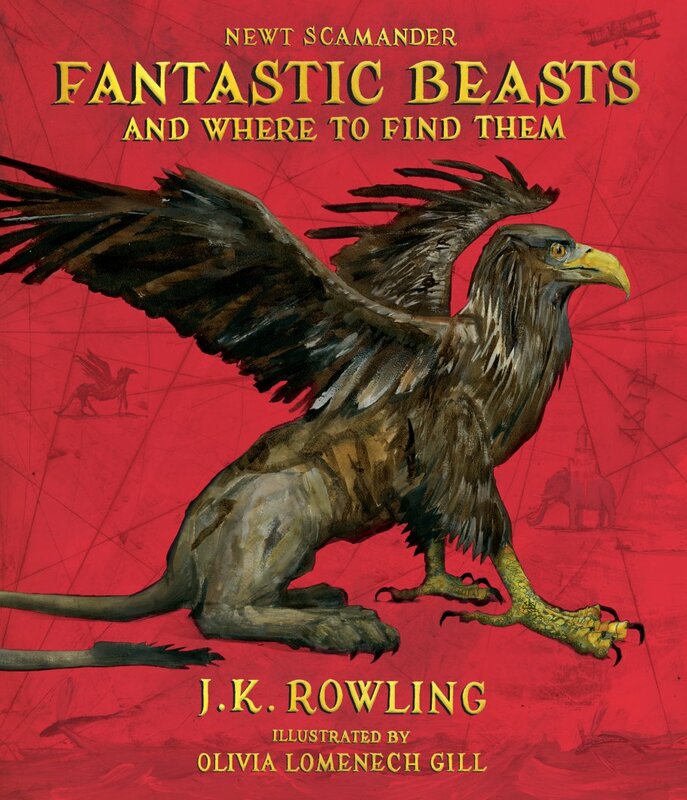 Leaky was lucky enough to be invited to Bloomsbury’s preview event for the illustrated editions of Harry Potter and the Prisoner of Azkaban and Fantastic Beasts and Where to Find Them, both released next month. 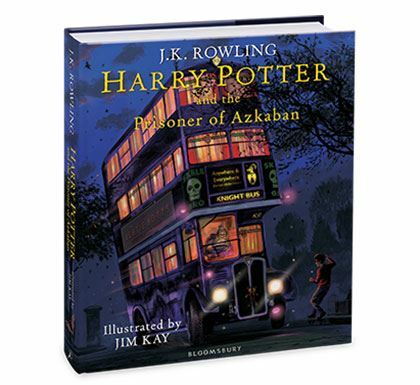 Jim Kay’s Prisoner of Azkaban continues his illustrated editions of the Harry Potter books, which he says are ‘like a welcome home’. Every character, he says, ‘is a portrait and a story in themselves’. Each of Kay’s illustrated editions takes just enough from the films to be familiar, but on the page becomes new, exciting and personal – it’s such a brilliant way to read the stories, and every single one has managed to take me back to my childhood. 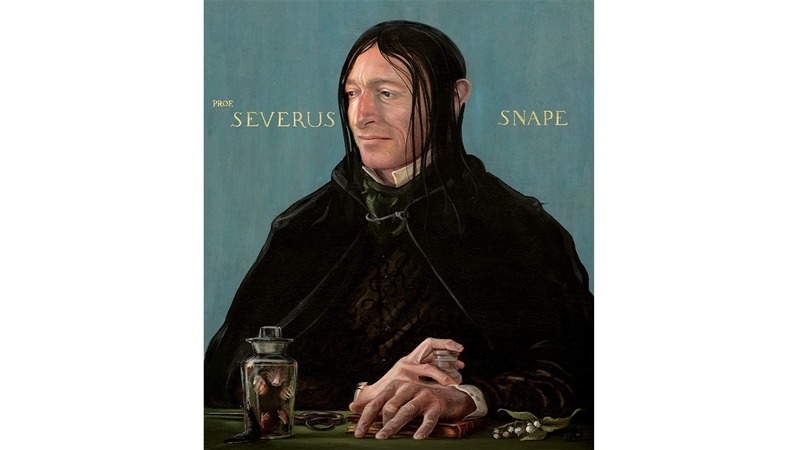 Prisoner of Azkaban features some lovely new artwork, including a three-page spread of the Grim, a beautiful illustration of Sirius Black (who comes across just as warm as he does in the books), the slightly creepy Niffler-Pickling Snape from Pottermore’s exclusive preview of the book, and – of course – Dementors. They’re hugely detailed – more so than the films in many ways – and a lot darker and more terrifying. We can’t wait for you to see them! 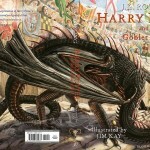 I asked Jim how illustrating Goblet of Fire has been coming along, and how the dimensions of the next in the series will differ from the previous books (which are all similar sizes). 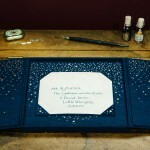 He told us that the typeface will be a fair bit smaller, which means there’s not a drastic difference between the books. “The plants used to grow all the way up to the roof and they’d have to make extensions – I once had to move a 10ft tree to the side because it was too tall! See Bloomsbury’s new preview of Jim Kay’s Marauder’s Map here! 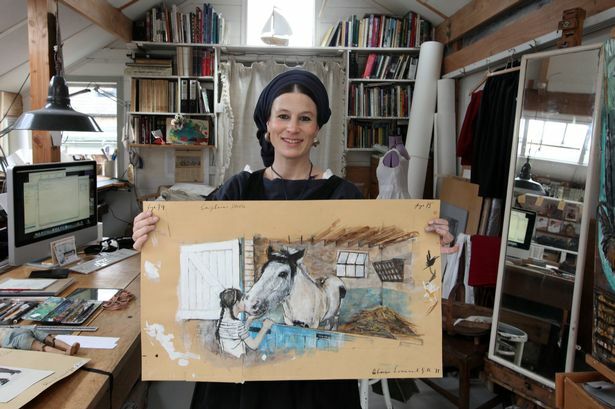 Her illustrations are marvellous – they’re more sketchy than Kay’s Potter illustrations, and perfectly mimic what I’d imagine to be Newt’s magizoologist diary, but in even more amounts of detail. 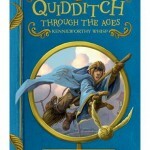 They were a joy to behold – I was particularly taken aback by just how luminous she’d managed to make the unicorn, and amazed by a double page spread of the avian species – Olivia really flaunts the anatomical perfection with which she envisions J.K. Rowling’s descriptions and brings them to life on the page. Each bird is completely different and has its own personality, its own micro-details and its own history, and it feels like you can actually see through the ever-curious eyes of Newt Scamander himself. I wanted to ask Olivia about the story behind one of her creations, and that was the Sphinx. We didn’t see the Sphinx in the Goblet of Fire movie, so Olivia could turn anywhere for her inspiration. 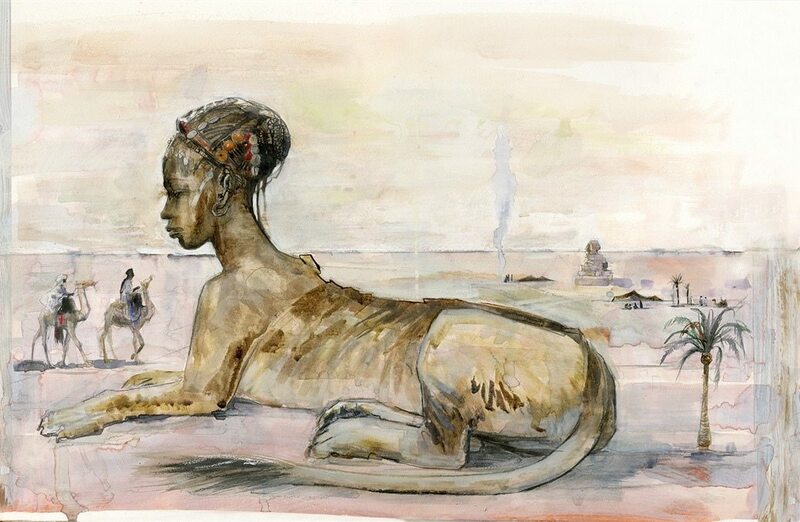 She tells me that she turned to African and Middle-Eastern women for this illustration, which is beautifully rich in detail – she captures the wisdom and mystery behind the Sphinx perfectly, and blends this with the colours and cultural dress she says she was inspired by from her time living in Syria. I’d actually like to see this featured somewhere in Ravenclaw’s House garb, because although Eagles are cool, Olivia has convinced me that Sphinxes are far cooler. 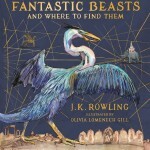 We were told that both illustrators worked on huge sheets, and that the work we see is a only a fraction of the original size of the works – given that the Harry Potter books are multiple hundreds of pages long and there are a fair few beasties to illustrate in Fantastic Beasts, that’s a monstrous task to undertake, and deserves huge acclaim. We’re hoping that a ‘behind the scenes’ of the illustrated editions is soon to come, and although Jim hinted at their maybe-involvement in a maybe-upcoming screen project (which we’ll hopefully reveal at a later date! ), we hope that everybody will be able to appreciate the artistry behind these works – they add a completely new dimension to the books, and are a pleasure to read. Thanks ever so much to Bloomsbury for the opportunity! Prisoner of Azkaban is released on October 3rd, and Fantastic Beasts on November 7th. 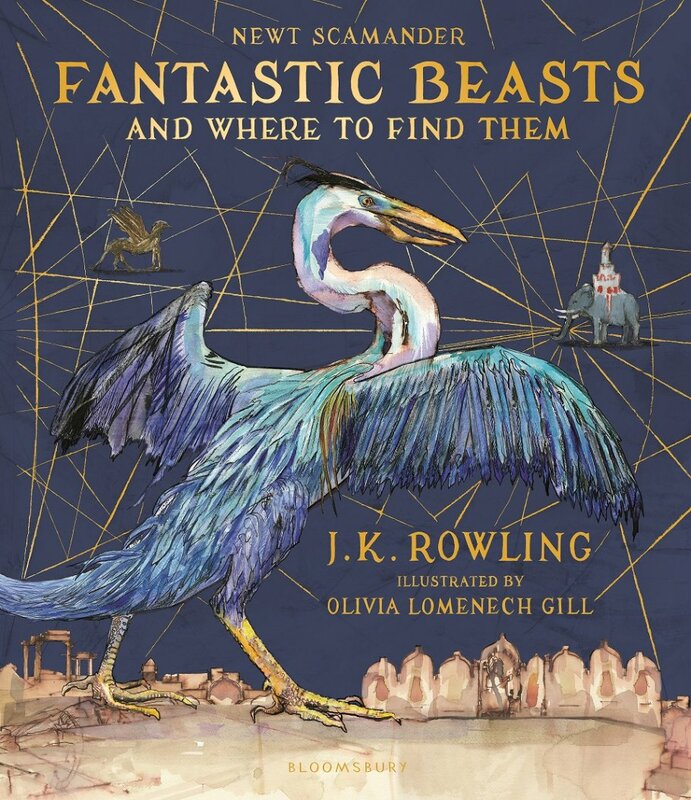 Remember to pre-order your copies of Olivia Lomenech Gill’s illustrated edition of Fantastic Beasts (from Bloomsbury, featuring an Occamy, here and Scholastic, featuring a Griffin, here) and Jim Kay’s illustrated Prisoner of Azkaban (here), and let us know what you think when they arrive – not long to wait now!